For my nieces sweet sixteenth birthday, my sister-in-law asked me to make pineapple cream cheese spread with pecans. I’ve never had pineapple spread, let alone made it. She had a printout of what she wanted it to look like. She gave me all of the ingredients and I went to mixing. I had no clue what I was doing or how it was going to look or taste when finished. In the process of making it, I thought it was turning out to look more like a porcupine than a pineapple. 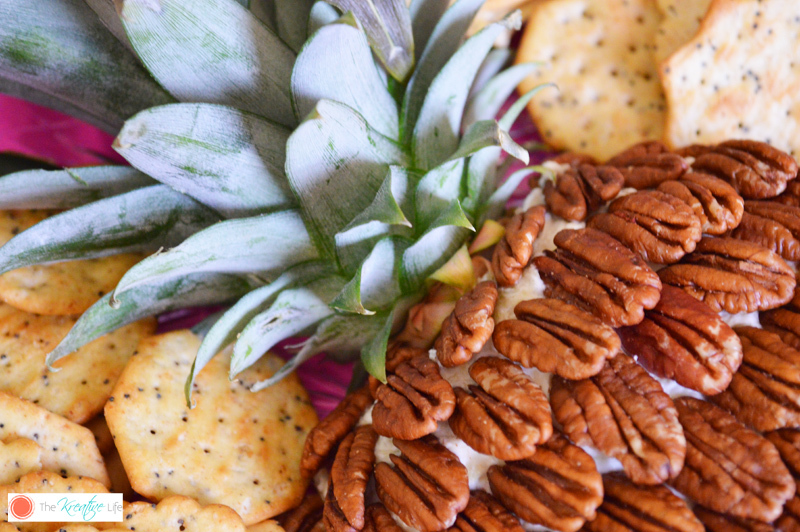 The final pineapple cream cheese spread with pecans came out beautifully and tasted way better than I expected. This recipe can be used for a simple pineapple cream cheese ball or a pineapple cream cheese dip, but I think making it look like an actual pineapple adds some creativity. The presentation of this recipe is definitely a conversation starter. Since my first time making it, I now make it quite often for parties. I especially love making it for our island-themed parties. 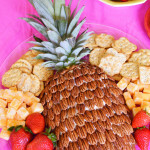 The pineapple cream cheese spread can be served with crackers and fresh fruit on a platter . I really like serving it beside my tropic pollo recipe as an appetizer. I can imagine that this technique can be used for different flavors of spreads and for different shapes. Please enjoy my pineapple cream cheese dip recipe! If you like fruit dips, then you may want to try this strawberry and white chocolate fruit dip recipe or if you’re having a Caribbean-themed party try this Pollo Tropical chicken copycat recipe! 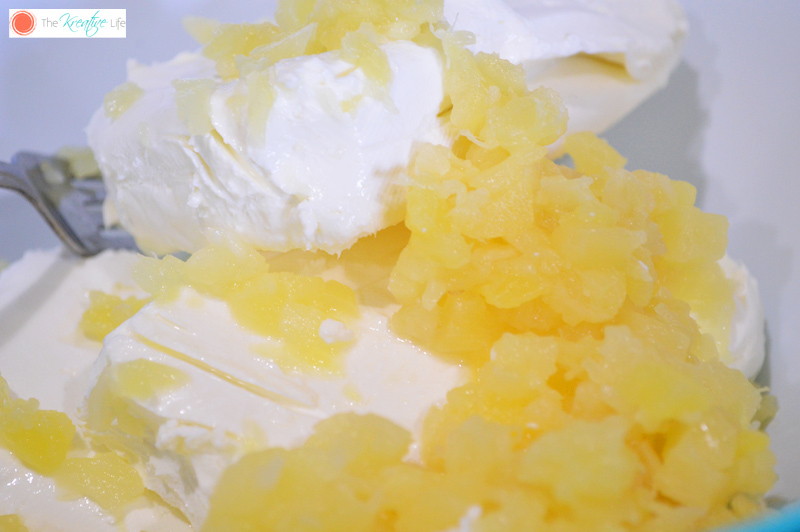 In a large bowl, thoroughly mix cream cheese, crushed pineapples, and vanilla. On an even surface, place down a layer of plastic wrap. Scoop mixture out of the bowl and place on plastic wrap. Loosely fold the plastic wrap around the mixture and mold the cream cheese into a pineapple shape. Place molded cream cheese onto a cookie sheet and put in freezer for 20 minutes or long enough for the cream cheese to slightly re-harden, but not freeze. 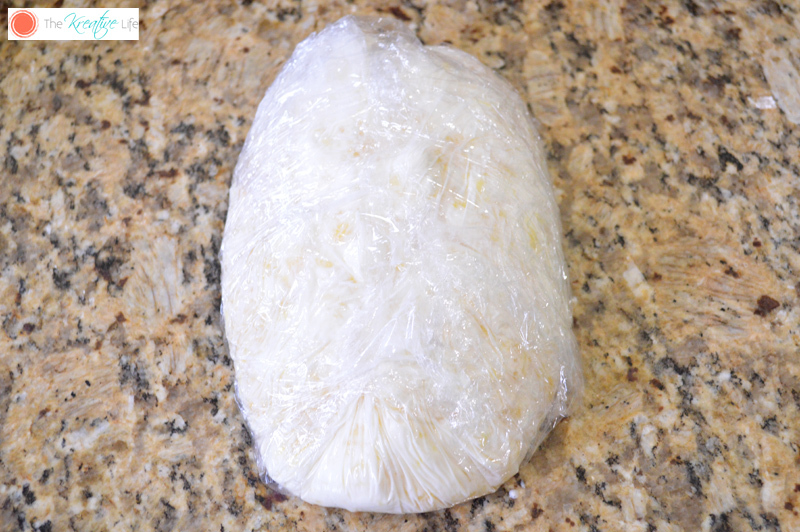 Remove the cream cheese from the freezer and carefully remove the plastic wrap. Place cream cheese on a serving platter. 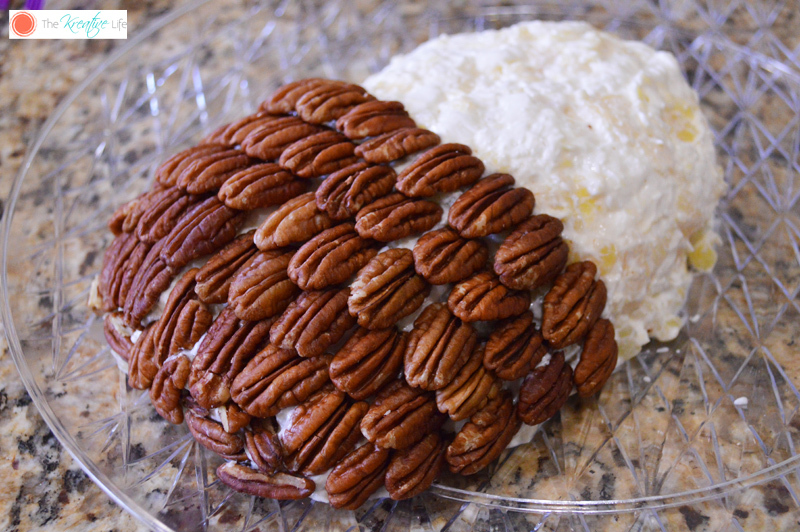 Starting from the bottom, place the pecans in a row on the cream cheese. Make sure the closed, rounded side of the pecan half is pointing toward the bottom of the pineapple shape. Continue to place the pecans all of the way to the top. 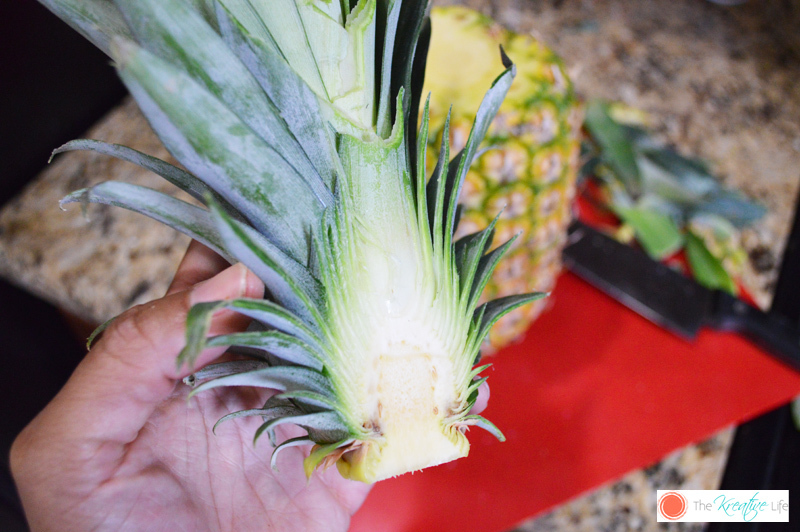 Take the pineapple top and cut the back off, so it can lay flat. Place the cut pineapple top onto the mold. Store in refrigerator until ready to serve. 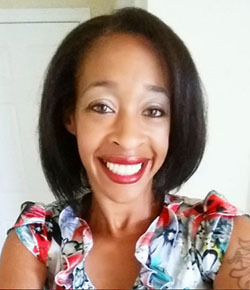 Hi, I’m Kendra! I’m a Miami Blogger, a mom, a wife, and an amateur food photographer (at least I like to think so). I like to write about crafts, family, diy projects, food, blogging, and marketing tips, and a swell gal to get to know. I love to travel to any place that has warm weather, a beach, and great food! This is sooooooo cute!!!!! I love the idea! Ashleigh recently posted…Wednesday Linky Party & Giveaway! Thank you for the pin, Ashleigh! This is perfect for my tropical life. You had me at pineapple… then I saw cream cheese and knew it was perfect for me. I have tropically themed events and I will be showing this off at the next one. Thank you for sharing. You’re welcome, Tammy! I love tropical-themed parties! My wedding was Caribbean-themed! Wow! The presentation is fantastic and it sure looks delicious! Thank you so much, Sandra! Oh my goodness I LOVE this! I saw the photo on your Facebook page and I HAD to come look at it. How cute! Thank you so much for coming by to check it out, Caitlin! This is so cute! What a fun way to display spread, and it sounds so yummy! 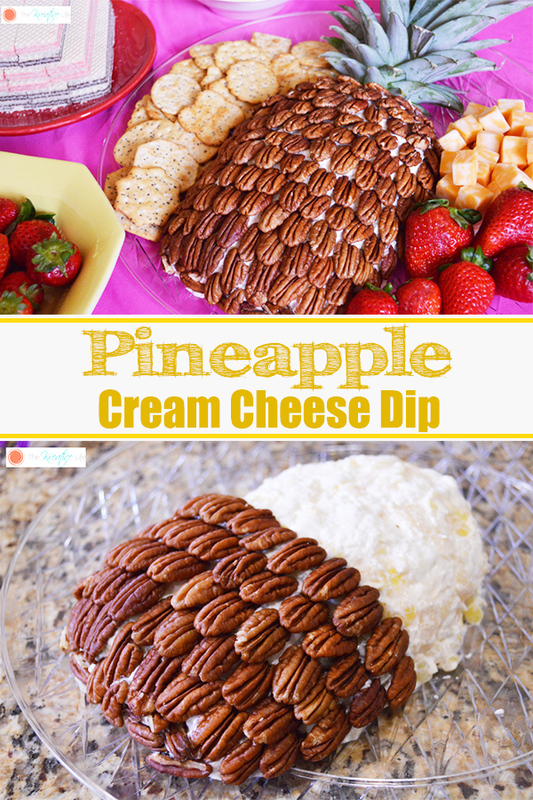 This pineapple cream cheese spread looks amazing! 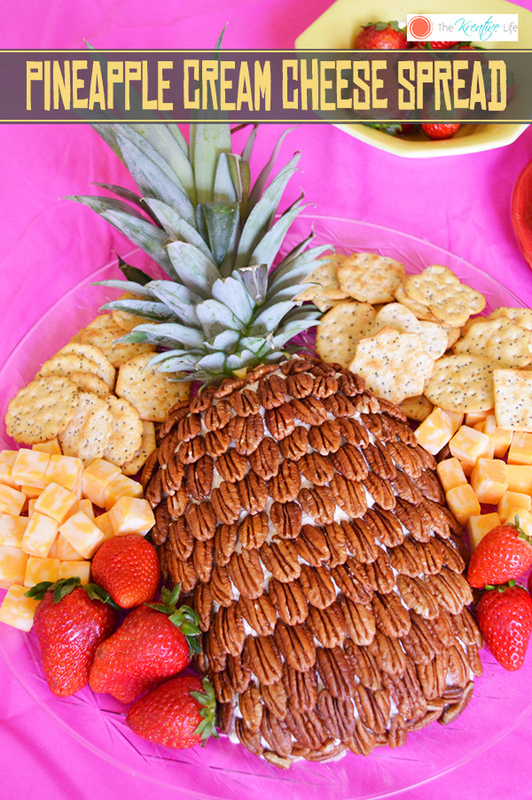 I love how you made it look like a pineapple – so creative! What a wonderful idea, it looks so good. You did a nice job of it. I bet your niece loved it too. This is super cute! Will try to make it sometime this summer. Thanks for sharing! OMG this is so cute.. I have to make this! !